Home » King Solomon’s Wall Found—Proof of Bible Tale? King Solomon’s Wall Found—Proof of Bible Tale? A 3,000-year-old defensive wall might be unprecedented archaeological support for a Bible passage on King Solomon. 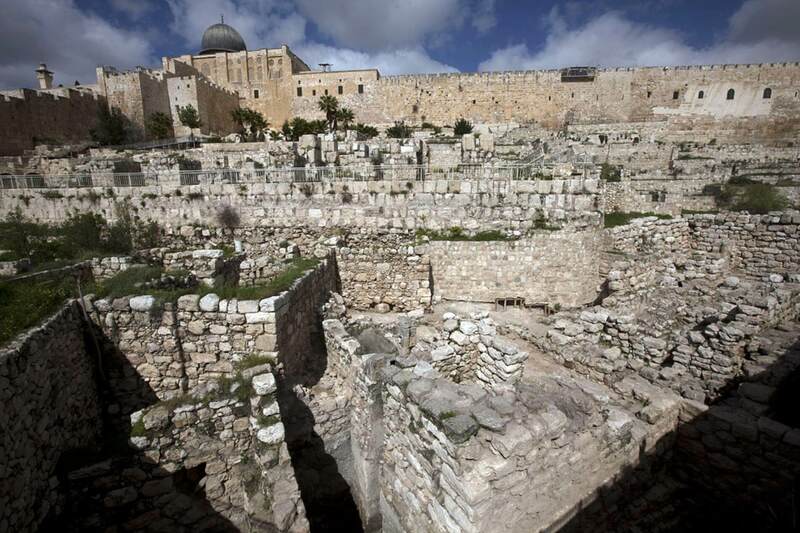 A 3,000-year-old defensive wall possibly built by King Solomon has been unearthed in Jerusalem, according to the Israeli archaeologist who led the excavation. The discovery appears to validate a Bible passage, she says. The tenth-century B.C. wall is 230 feet (70 meters) long and about 6 meters (20 feet) tall. It stands along what was then the edge of Jerusalem—between the Temple Mount, still Jerusalem’s paramount landmark, and the ancient City of David, today a modern-day Arab neighborhood called Silwan. The stone barrier is part of a defensive complex that includes a gatehouse, an adjacent building, and a guard tower, which has been only partially excavated, according to Eilat Mazar, who led the dig for the Hebrew University of Jerusalem. Over the years, the structures have been partially demolished—their building materials scavenged for later structures—and what remained was buried under rubble, Mazar said. The Bible’s First Book of Kings—widely believed to have been written centuries after the time period in question—says Solomon, king of Israel, built a defensive wall in Jerusalem. The new discovery is the first archaeological evidence of this structure, Mazar says. Bearing Out a Bible Passage? Ancient artifacts found in and around the complex pointed Mazar to the tenth-century B.C. date. “We don’t have many kings during the tenth century that could have built such a structure, basically just David and Solomon,” she said. According to the Bible, King David, of David-and-Goliath fame, was the father of King Solomon, who is said to have built the First Temple of Jerusalem on the Temple Mount. Ceramics found near the wall helped narrow the date down, being of a level of sophistication common to the second half of the tenth century B.C.—King Solomon’s time, according to Mazar. Three-foot-tall (one-meter-tall) earthenware storage vessels were found near the gatehouse, one of them with a Hebrew inscription indicating the container belonged to a high-ranking government official. Figurines typical of tenth-century B.C. Jerusalem—including four-legged animals and large-breasted women likely symbolizing fertility—were also uncovered, as were jar handles bearing impressions reading “to the king” and various Hebrew names, she said. The artifacts may hint at the area’s street life in biblical times. Here ancient Jerusalemites would have gathered around the wall’s city gate to trade, settle disputes via street-side judges, engage in ritual practices, and stock up on water and supplies for treks out of the city, Mazar said. Tel Aviv University archaeologist Israel Finkelstein, who was not involved in the excavation, agrees that it’s possible King Solomon constructed the wall. But Finkelstein cautioned against leaning too heavily on the Bible to interpret the findings. Familiarity with religious or historic texts connected to any given site is important, he said, but their usefulness can vary. For her part, Mazar believes it’s natural for archaeologists excavating in the Holy Land to consult with biblical texts along with other ancient documents. “I don’t believe there is an archaeologist who would excavate a site upon which texts have been written without being familiar with those texts,” she said.